Last year it was just a space with potential. 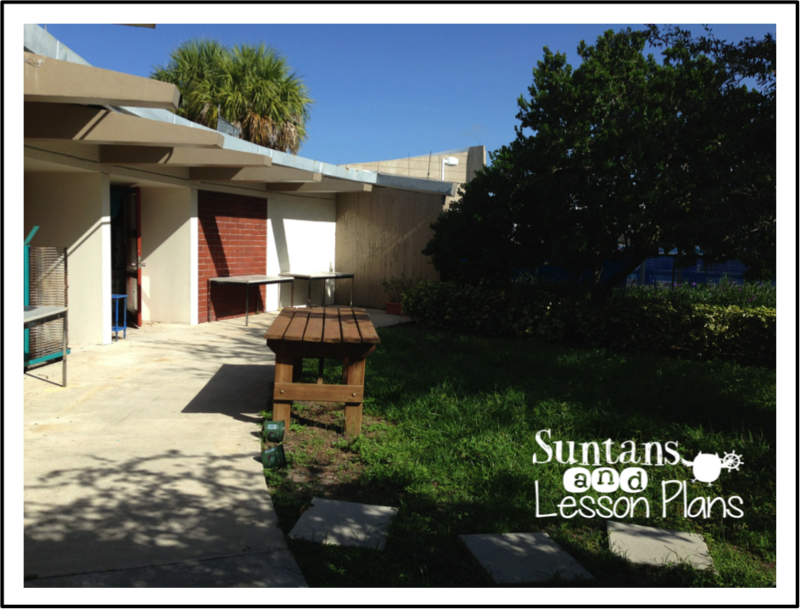 While it is still a work in progress, it is well on its way to being a true outdoor learning space! The overgrown grass has been replaced with mulch. 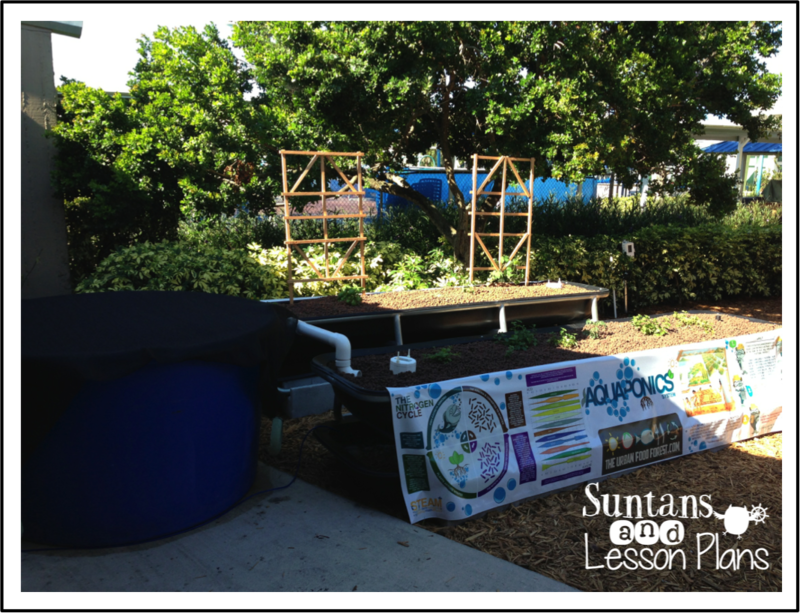 The aquaponics system has been installed. That blue tank? There are ten coy in there. The grow beds have herbs and a few vegetables. The middle school science class is going to take care of the fish and testing the water. The elementary STEAM classes are going to take care of the plants. Did I mention that I do not have a green thumb? I've emailed the local garden club for help picking plants. It is a little outside my comfort zone, but I'm ready to give it my all! My students voted on names for the outdoor space. With over three hundred votes, it was a tie! We will have to have a run off to decide between "The Burrow Lab" and "The Owl Hideout." They also had suggestions for other things to add to the space. The suggestions went from monkeys and sharks to butterflies and ladybugs. We are going through the list looking for those that might actually be possible. 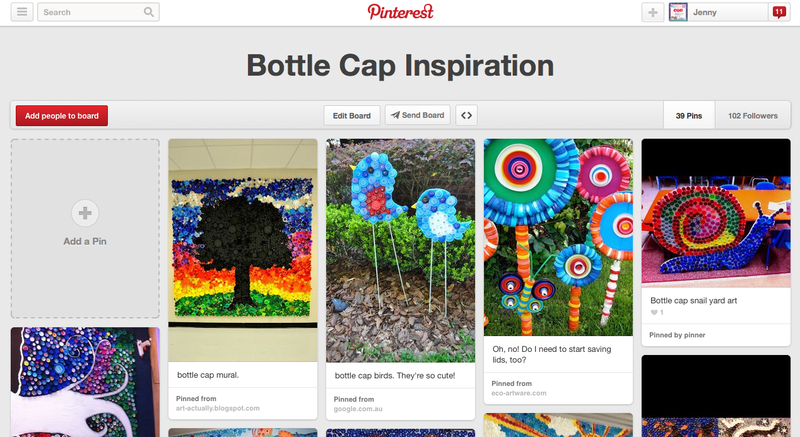 I was on Pinterest before and am suddenly consumed with the idea of making a plastic bottle cap mural. I actually forgot to eat lunch today because I was sending messages through ClassDojo to all 18 classes asking them to send in plastic bottle tops. I've set up a Pinterest board here. I would love to see one of these bright, colorful works of art in our new outdoor learning space!